Zimbabwe’s new President Emmerson Mnangagwa today swore in his 22-member Cabinet, saying he has confidence in its ability to deliver and turnaround the economy. Mnangagwa has faced criticism for retaining many old faces from Robert Mugabe’s previous cabinet. The cabinet only has six new faces to government, with the senior military officials Major-General Sibusiso Moyo and Air Marshall Perence Shiri landing the top portfolios of foreign affairs and lands. Reviving the southern African nation’s economy is high on the new administration’s priorities and the new foreign affairs minister Moyo told reporters that the country will be pursuing “economic diplomacy”. 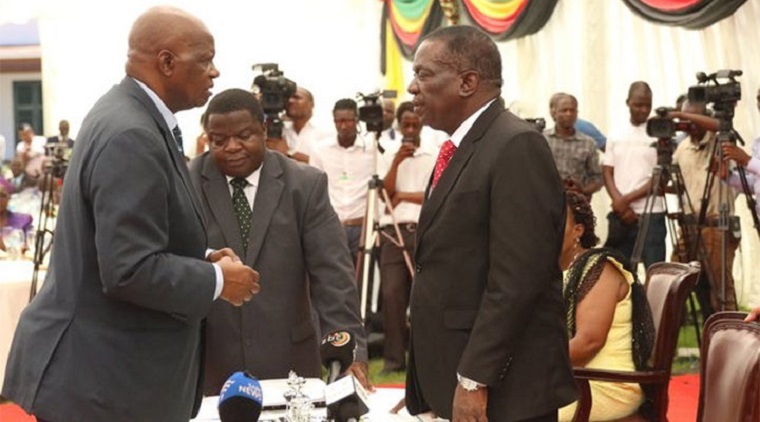 “We will focus on transactional diplomacy, it has to be a win win situation,” Moyo told reporters. Deputy finance minister, Terence Mukupe added that serious reforms need to take place.